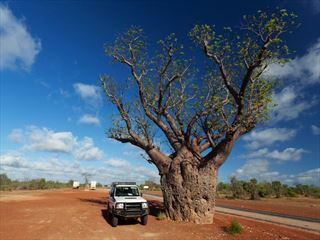 Discover the wonderful and less explored West Coast of Australia on this 12 night self-drive tour. 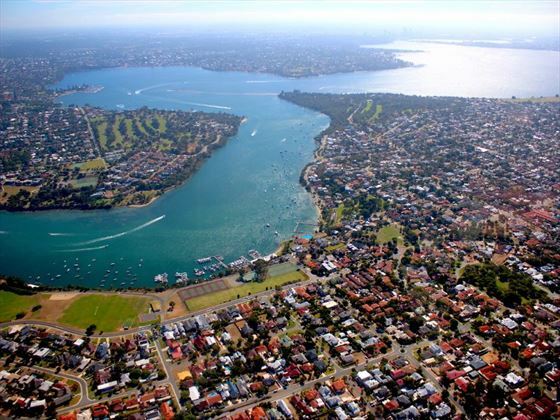 Starting in Perth, you’ll explore some of Australia’s most naturally beautiful and completely underrated destinations, including Monkey Mia where you can enjoy the dolphins, Kalbarri National Park offering dramatic river gorges and rock formations, Ningaloo Reef where you can swim with mantra rays and one of the only places on earth that gives you the opportunity to swim with whale sharks. 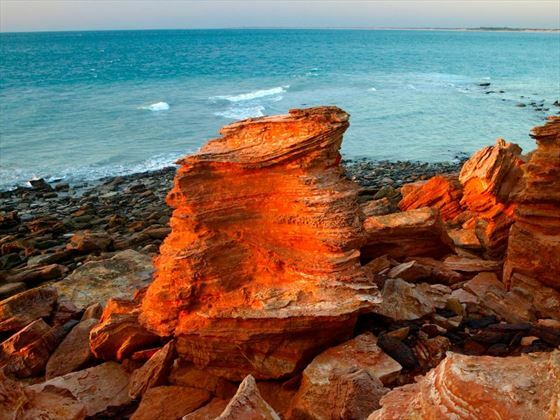 Stop off in Karratha, before ending the trip in the characterful town of Broome allowing you to enjoy the stunning Cable Beach with its 22km of white sand and clear tropical waters (TM - ATS). 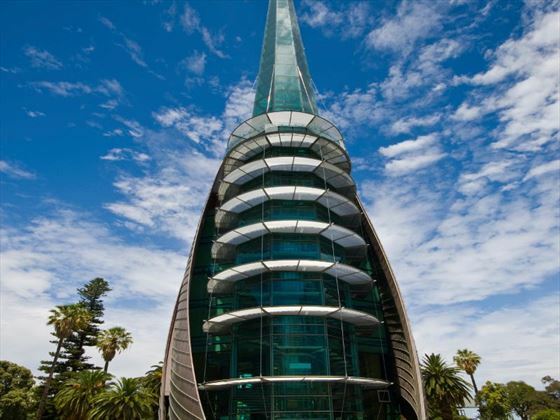 Upon arrival into Perth, you’ll be transferred to your hotel for a two night stay. 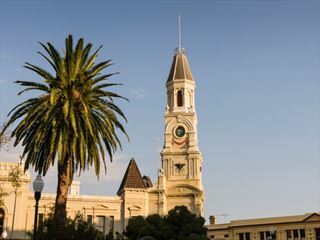 Situated alongside the Swan River, Perth is a haven of friendly cafés, sandy beaches and verdant vineyards. Cruise Swan River to some of the vineyards, feast on delicious seafood in Freemantle, take a day trip to Rottnest Island, swim, or visit the sacred Aboriginal sites for a glimpse into Australia’s past. Collect your car and begin the adventure to Cervantes and the Pinnacles in Nambung National Park. Soon you’ll arrive in Geraldton via Greenough. Geraldton is a beautiful destination, full of colourful wildflowers and sweeping countryside. The year round climate and mild winters make Geraldton one of the most popular beach holiday destinations. 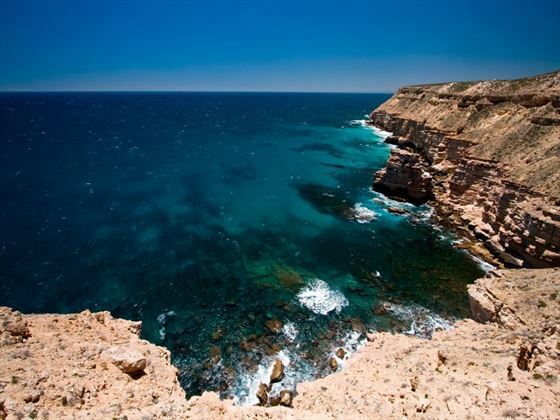 Today you will journey along the North West Coastal Highway to Kalbarri National Park, a naturally stunning area with incredible natural arches and magnificent gorges, before arriving at Kalbarri. Your afternoon will be free to explore the area and Murchison River. 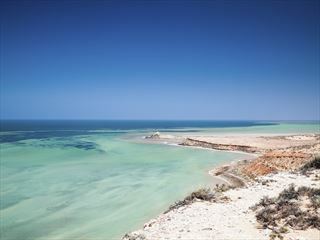 The day will be spent exploring Monkey Mia and the Shark Bay World Heritage area. 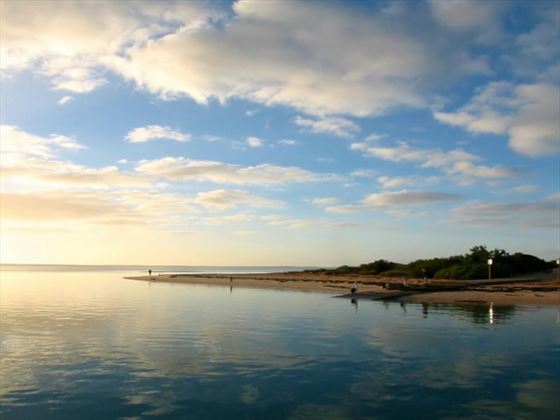 Home to wild bottlenose dolphins, Monkey Mia is a beachside oasis with crystal clear waters. Discover the living marine stromatolites at Hamelin Pool, explore the 110 kilometre Shell Beach made up of billions of tiny white shells. Afterwards, view the stunning views from Eagle Bluff. 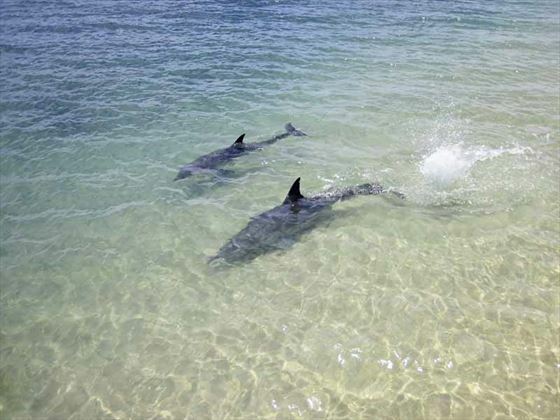 In the morning you’ll have the chance to meet the dolphins in the clear shallows, before departing Shark Bay and driving to Carnarvon, a charming coastal town nestled on the mouth of the Gascoyne River. Depart Carnarvon and drive north before turning off to Coral Bay. There’s plenty to do at this seaside town, including exploring the stunning coral of Ningaloo Reef, and the Ningaloo Marine Park with its fantastic underwater viewing platform. The colourful reef here certainly rivals the Great Barrier Reef. The whole day is free for you to explore the destination, and discover the vibrant reef. Take a half day snorkel cruise to get up close to the Manta rays (own expense). Today you’ll return to the North West Coastal Highway and travel to Karratha, the commercial centre of the Pilbara, via Dampier. Depart Karratha and journey towards Port Hedland, stopping at the small, characterful town of Roebourne on the way. Soon you’ll arrive in Port Hedland, the gateway for Australia’s iron ore exports. Wake up early and join the Great Northern Highway, which runs through the rugged landscapes of the Great Sandy Desert. 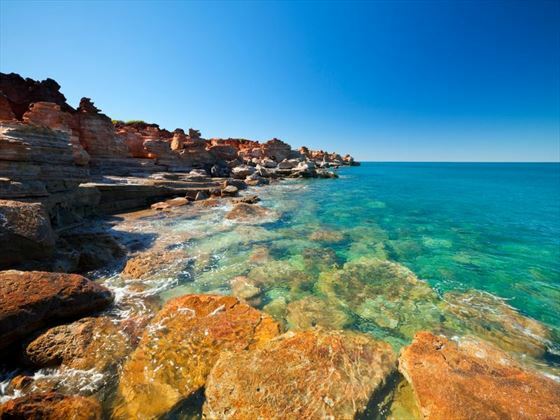 Afterwards you’ll arrive in Broome, a quaint area well known for its beautiful beaches and topaz water. In the evening, be sure to watch the famous Broome sunset, best seen from Cable Beach. The next two days are at your leisure to explore the area’s natural attractions and wander through the town. Your tour ends today in Broome, however, you have the vehicle until tomorrow should you need to stay an extra night before flying elsewhere.